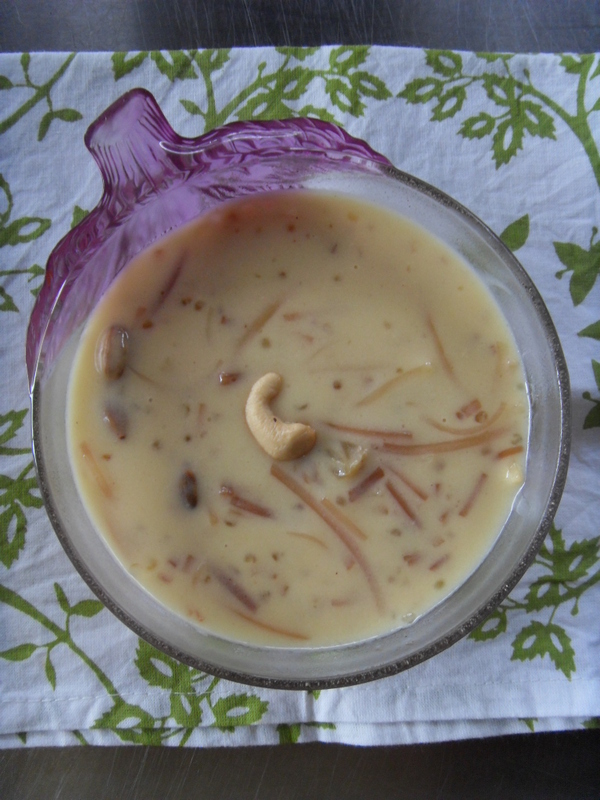 I have always liked this Indian dessert called Payasam. But funnily enough, every time I have eaten it, it is always a big disappointment. The taste would be wrong, not rich enough, not enough ingredients, or it would be thick mush. It is like they could never get it right although it is so easy to make. I had nice payasam strangely enough in Fiji at Raju’s Healthy Hash Café. Now let it be known, Raju is actually Doctor Raju, who owns a large two storey building in Nadi Town and I think he is rather clever too as there are no Indian restaurants around that I noticed and it is a place where its simple dining and they serve rather nice roti and an assortment of curries which are different then what we get here in Malaysia. His café is upstairs facing the street. Now at lunch time the place suddenly filled up so quickly so we left so others could have place. While it is suppose to be a vegetarian café, somehow they seem to have snuck in some chicken curry for the meat eaters as well. 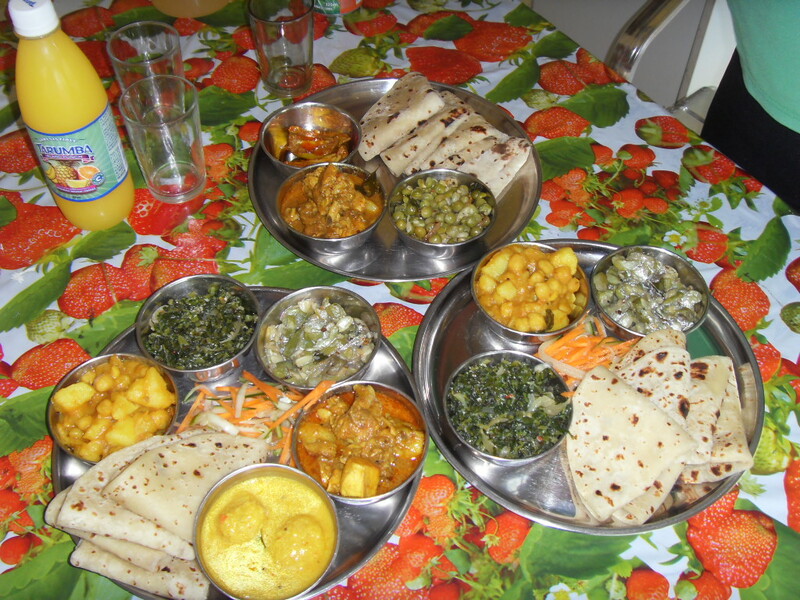 The photos you are seeing are some of the curries we ate that day with roti. I will do a step by step recipe for roti. I just love the stuff and it is quite easy to make so I am told. 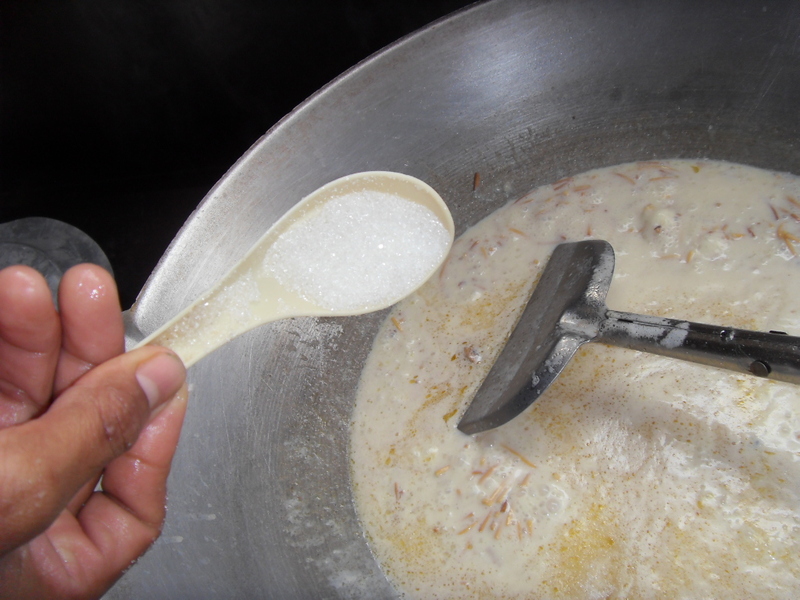 And the payasam part of it came by accident as they happened to be making some and my friend Angela who is well known and a regular over there took us in so we each had a small cup. And for the first time, the payasam was perfect. No stinging on ingredients, not thickened with sago, it was just right. And from that day on I have been craving for payasam. So yesterday, while Eda was cleaning the cupboards, out come a box of Payasam Vermicelli that was going to expire in two days time. So I did not waste anytime and got into making it. Here is the step by step as there is no particular recipe. 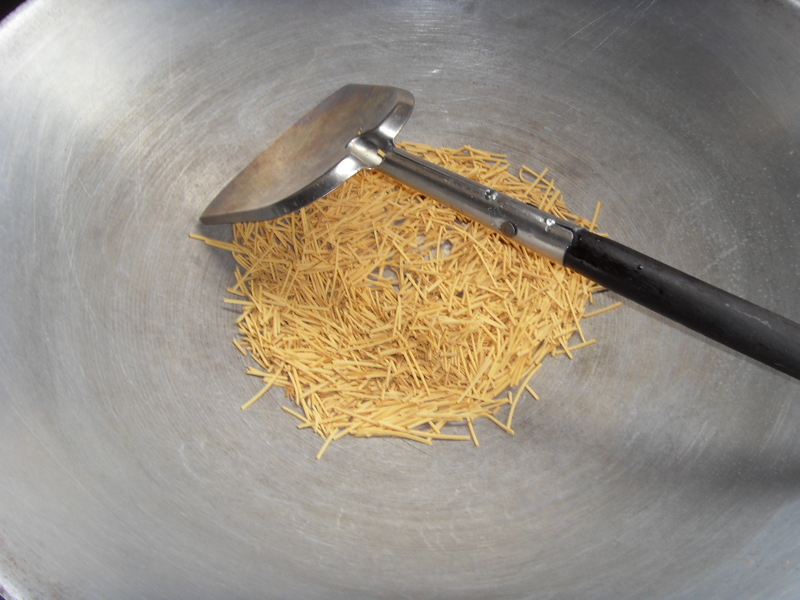 As the box indicated, dry fry the vermicelli as shown. It should be on low flame and not too hot or the vermicelli will burn. 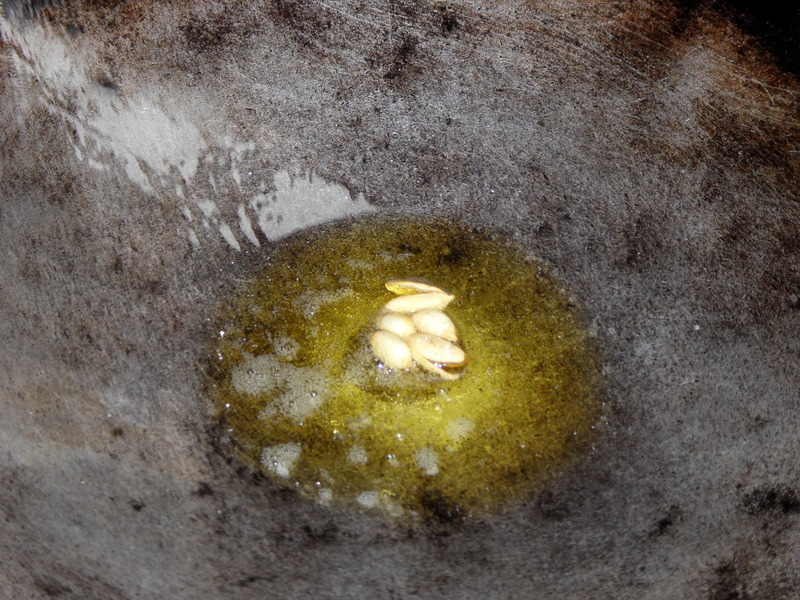 Dry fry till it become a darker yellow. I did not see any difference, but that is what the box said. Soak 1 cup full of sago pearls. 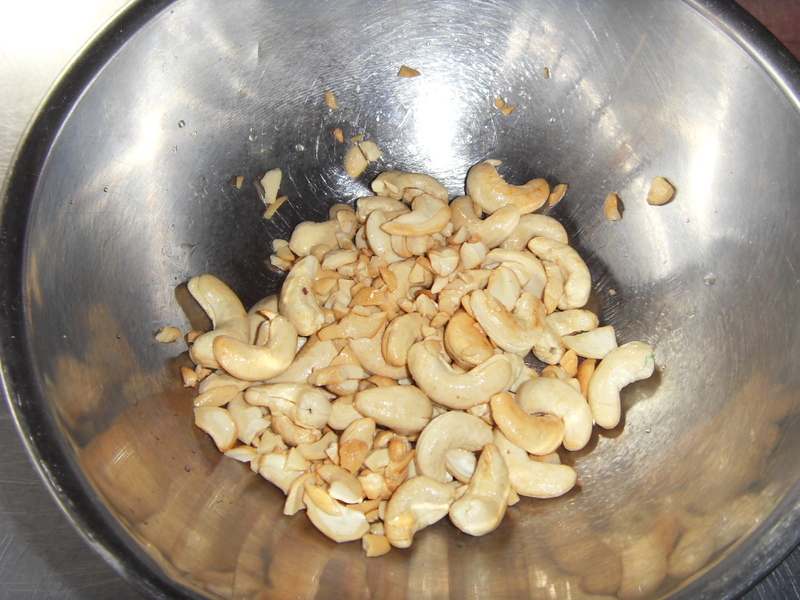 Heat a frying pan, with a dollop of ghee, and slow fry a handful or cashews, remove from heat and then fry a handful of raisins. Golden raisins are a better choice as it looks more pleasing instead of black bits all over your payasam. 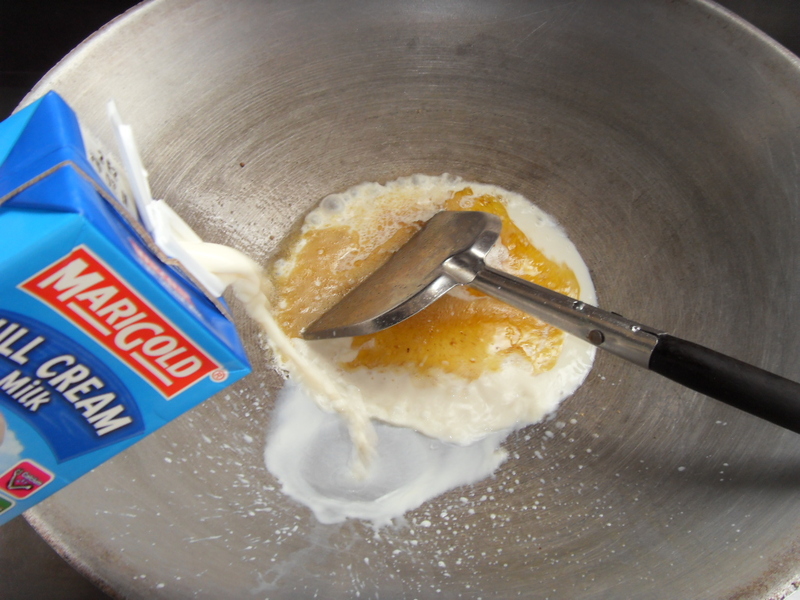 Now it the left over oil, you are suppose to add in three or four cardamoms and let it pop before pouring in 1 litre of milk. I just poured a whole box it. By the way I forgot to add in the cardamoms so I will show it later. Next I threw in the noodles and the raisins. I also forgot to show it clearly but I think you get the picture. I added in sugar to taste, roughly about 4 soup spoons. Once it is boiled, simmer on low flame. 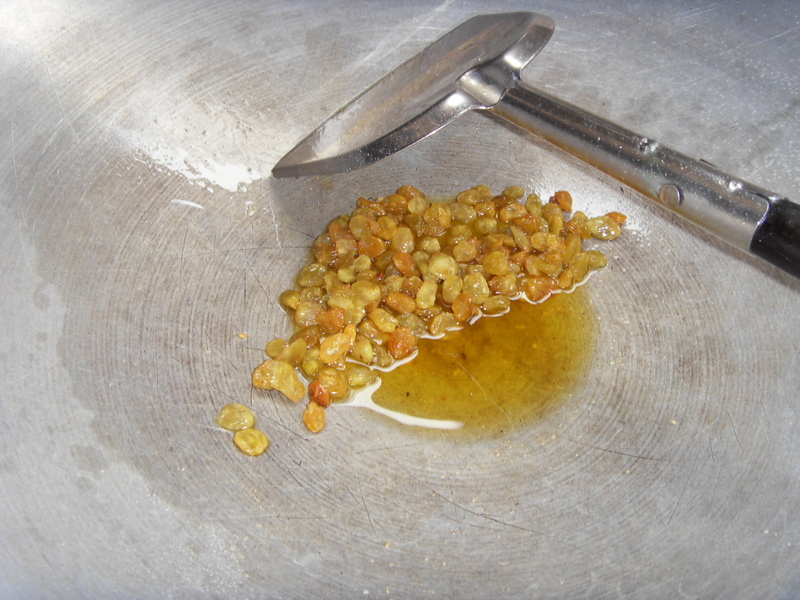 Add in the sago pearls, and stir through to prevent burning. Since I forgot to add in the cardamoms, I heated a pan with a bit of ghee and three in a few cardamoms. I let it pop and then poured it over the payasam. It will take about 30 to 40 minutes. And you may have to add in some water to prevent it from thickening. The gravy should be a nice thick and pourable consistency, much like thickish batter. Add in a pinch of salt. Mum asked for more…. There was none! I had all of one bowl, they ate the rest. 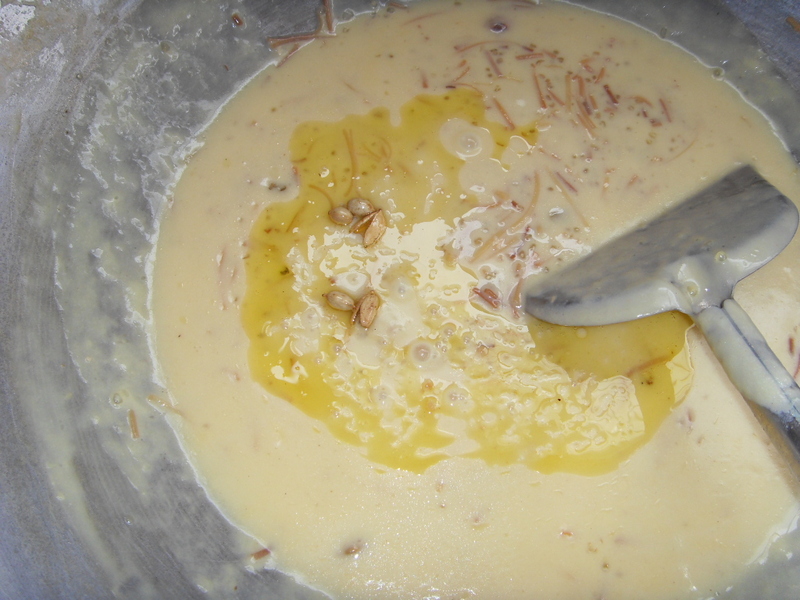 Tagged AKS Vermicelli, Angela Birch, Chef Nicholas Pillai, Cooking with Nicholas Payasam Recipe, Dr Ram Raju, Fiji, Indian Dessert, Nadi Town, Nicholas Pillai, Nicholas Pillai Step by Step Payasam recipe, Payasam, payasam recipe, Roti, Step by Step.